Just a brief update. Sasha and I leave on Christmas day for Copenhagen. 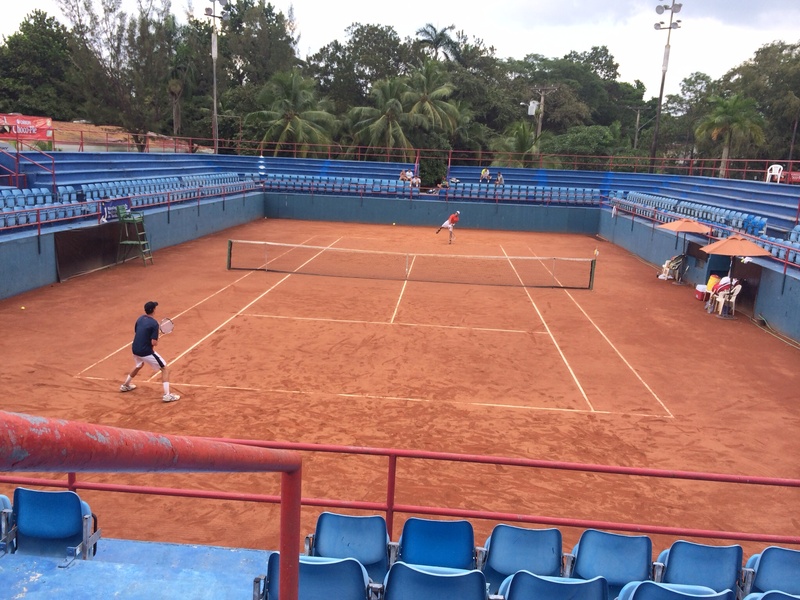 We will practice there for a week then play the first Sweden ITF. So long and short of it is our vacation was cut a little short and we are starting 2014 on New Years Eve in Stockholm Sweden. We wanted to say Merry Christmas to all who follow the blog and support Sasha’s odyssey toward professional tennis!! We will update from Europe!! We are going home for Christmas!! Early 2014 plans and schedule. Sasha and I are leaving Florida tomorrow and heading to our respective homes for the holidays. We are taking two weeks off. Sasha will go to New York and spend time with his family. I will head to Palm Springs and spend time with mine. We will meet up again at JFK after Christmas and leave for two months in Europe. We will be based in Copenhagen and will play an indoor schedule. 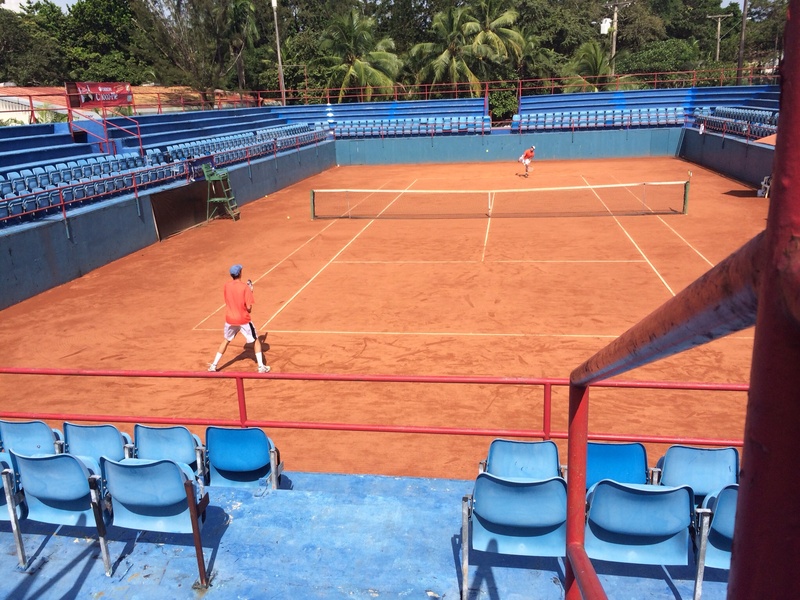 We will then fly back to the West Coast of the US to train for several weeks before playing Costa Rica Bowl, Claremont ITF in Claremont, CA, Spring Championships, Carson, CA, and the Easter Bowl, in Indian Wells. We wish all our supporters and friends VERY happy and safe holidays. We will be taking a few weeks off from blogging to enjoy some downtime. Happy holidays!!!! 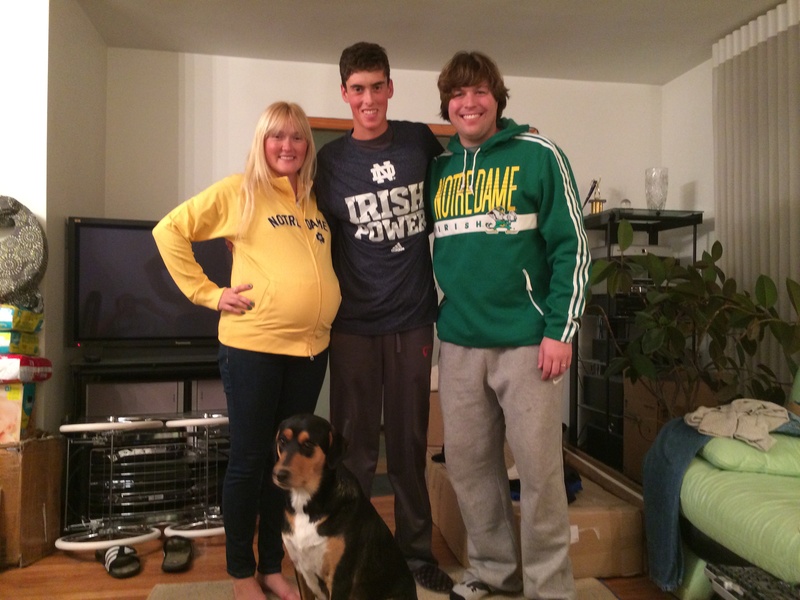 Sasha committed to University of Notre Dame today!!!! It’s such a great fit for him. We made an unofficial visit there a few weeks ago. The team is great. The coaches are super great. The facilities are absolute top. The academics are incredible. 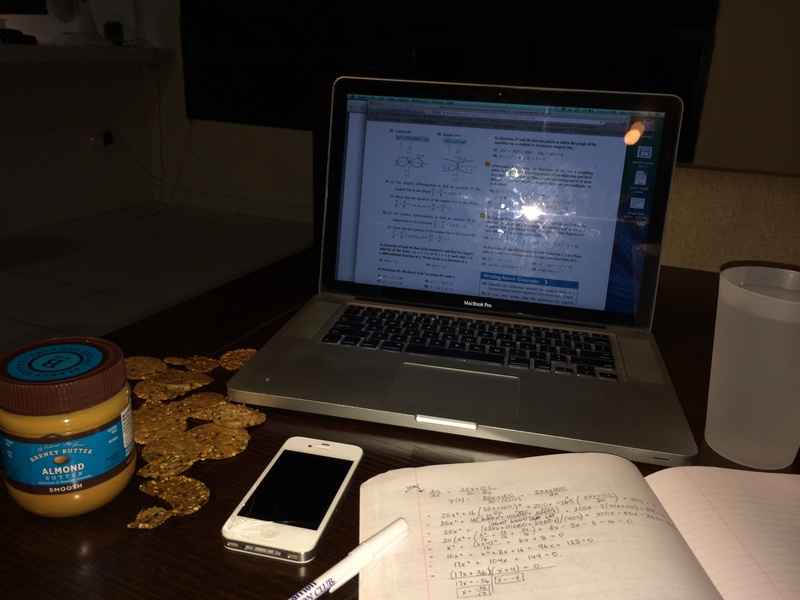 The support structure for student athletes is–well, I’ve run out of superlatives. 🙂 I am so proud of him!!!!! He has a great deal there and will be a huge contributor to helping them achieve their goals. NCAA champions!!! Thank you Adam, Ryan, and Cris. You guys couldn’t be more supportive!!!! Sasha lost at Orange Bowl to the 8 seed. He’s a good player, no doubt–ITF 300, but it’s a match Sasha should have won. He strayed from the game plan for no good reason. The game plan was working, he was dominating, but… and it was downhill from there. So that’s the last match of this season. We are practicing in Delray Beach this week then we each go home for a couple of weeks. I’ll update you on the 2014 schedule in the next few days. We start our time back in the US with a win!! Sasha and I are both happy to be back in the US. We are at the condo in Delray Beach. 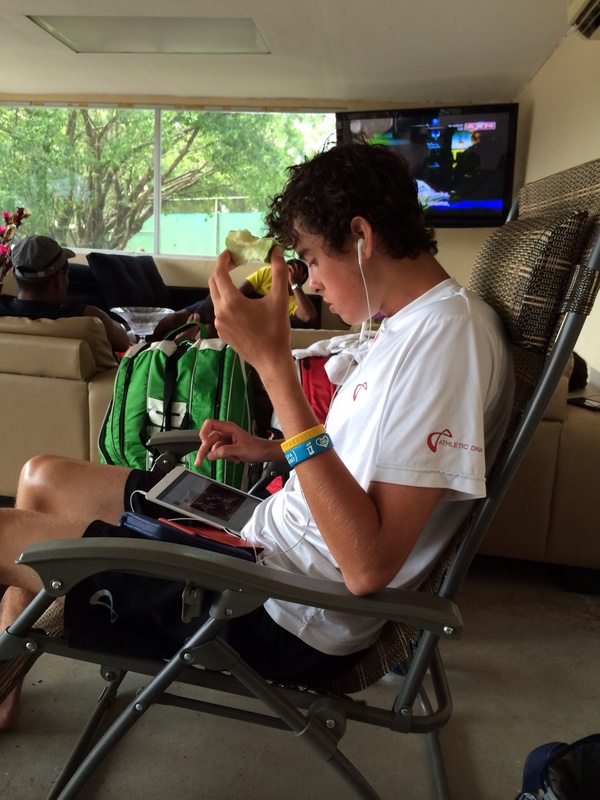 We got in late Saturday night, practiced a bit on Sunday and he won his first round Orange Bowl match 6-2, 6-1. Let’s let Sasha speak for himself about the tournament in Panama. This an excerpt he sent someone about the week in Panama. So I just reached the final of my first ITF! It was a great tournament, and I can say that each match got better and better, even in the final, which was a bit shaky. 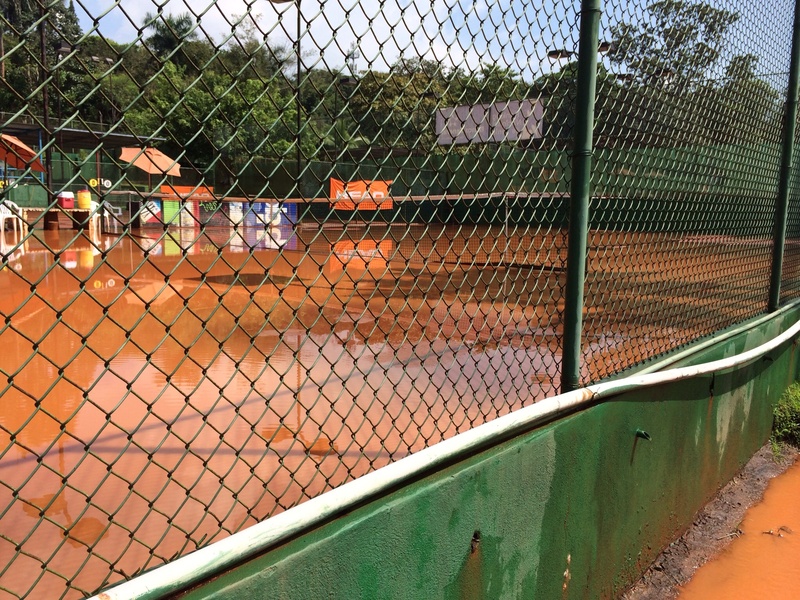 We employed the tactic of just playing my game on the clay and basically ignoring the surface. As we found out, doing this against better clay players got progressively more difficult, but when I did take control of the court the point was generally mine. We’ve been stressing this mindset for days now. 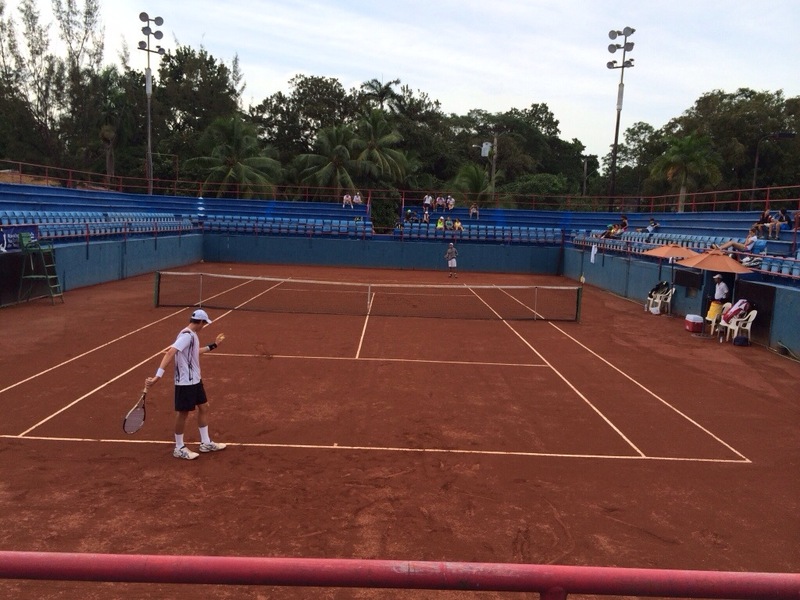 After the Bahamas and especially the Langmo match, I needed to bounce back and start stepping into the court again. It wasn’t that I didn’t have enough confidence to go do it in the Bahamas, I just had to “do it”, as Nike would say. I started out Panama strong with a pretty dominating performance in my first round against some kid from Guatemala with an ATP point. 6-2; 6-4. 2 times in the match where I stopped being so aggressive and I paid the price, but it was very good overall. In the second round, I played a completely opposite player, who was super defensive. I needed to step into this match or else I would have lost due to the kid getting to every ball. I blitzed the first set after a slow start at 0-2, 6-4, but then I was unable to continue this dominance and lost my touch to lose 3-6. Thom has always told me that cramps are mostly mental, and that if u think about them you’re more prone to really cramping up. That’s exactly what happened in the 2nd; I started to mentally cramp up and make excuses. I won the 3rd by stepping in again! In the quarters and semis, I also played very well and was continuing Thom’s strategy of patient aggression. 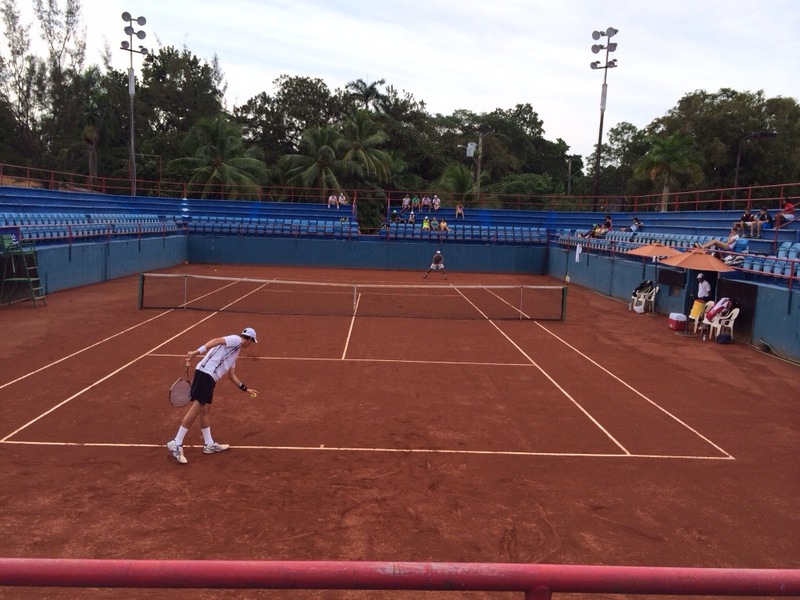 A slow start in the quarters was a bit tough, but i won 2-6; 6-2; 6-0. 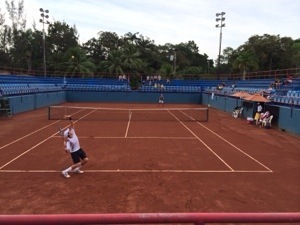 The semis was perhaps my best performance over a good clay courter, who did try to play aggressive as well, but I prevailed 6-3; 6-4. The final was rough, no question. The kid played a very flat, deep ball but was nevertheless a true clay court grinder. I didn’t come out of the gate strong enough, despite a good warmup and preparation, mostly because of nerves and wrong strategy. In truth, it is a bit of an excuse to blame the loss on nerves, but it was the case; the first half of the first set was a bit of paralysis. 😛 I found my way in the second with an early break to go up 3-1, but the kid fought back. 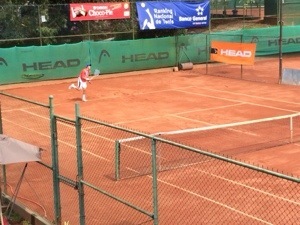 I saved 2 MP with big serves to win 7-6 (4). Again, in the third, the kid found his way back. During the match I did a lot of the running, he didn’t, because I wasn’t stepping in enough, so he wasn’t tired in the third set. Again, nerves took part and I overplayed balls to his FH thinking that it was his weaker stroke. Anyways, it was an awesome experience. People like to say that a good experience is what you get when you don’t win, but I can’t say that was true. The tournament was run extremely well with a microphone to call out matches (like Kzoo), and the courts were maintained beautifully. We loved it there! Our apartment contributed to our great stay. 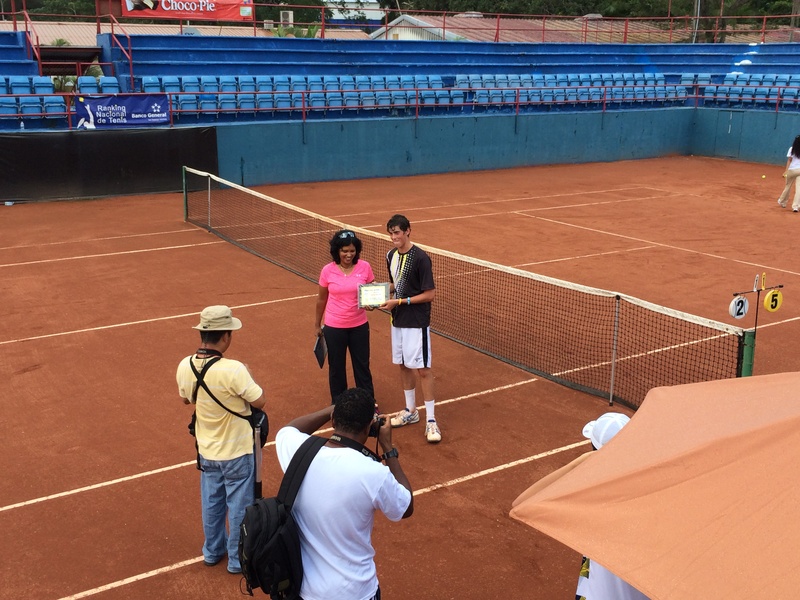 Sasha won his first ITF semi-final today! He beat the 2 seed 6-3, 6-4. He played very solid tennis. Followed through on our game plan very well. Great balance of patience and aggression with emphasis on aggression! He’s thrilled and I’m very proud of him!! Here is a pointer to the site with online order of play and draw for this event. 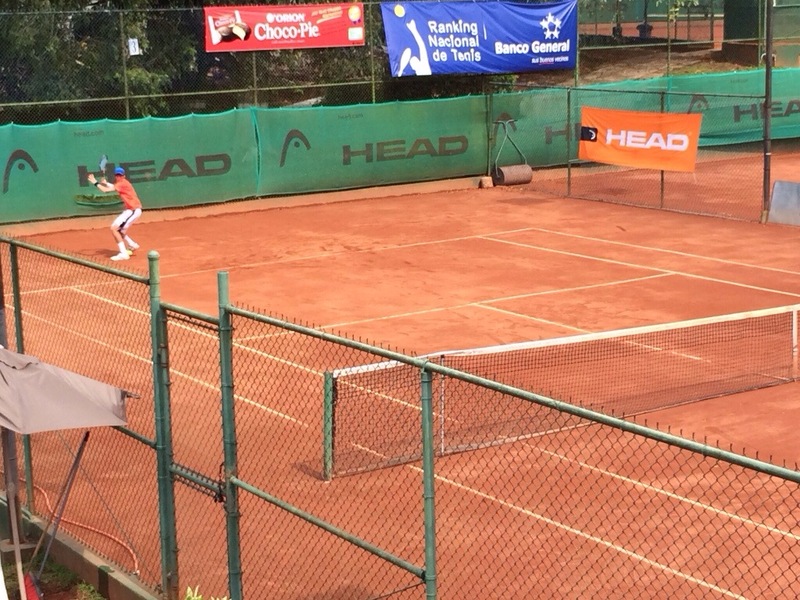 They are playing the 6 day format here, so Sasha had the day off today. We did go in to the tennis club to practice. The weather here is quite predictable. Nice in the morning, hot in the middle of the day, then around 3pm it rains. We practiced 11:30 to 1pm then went to Riba Smith. The American market here to stock up on groceries. We are set for the week now. It’s a really good store and quite inexpensive! We bought $150 of food that would have cost $300 in whole foods. Sasha hit with the guy he beat yesterday. 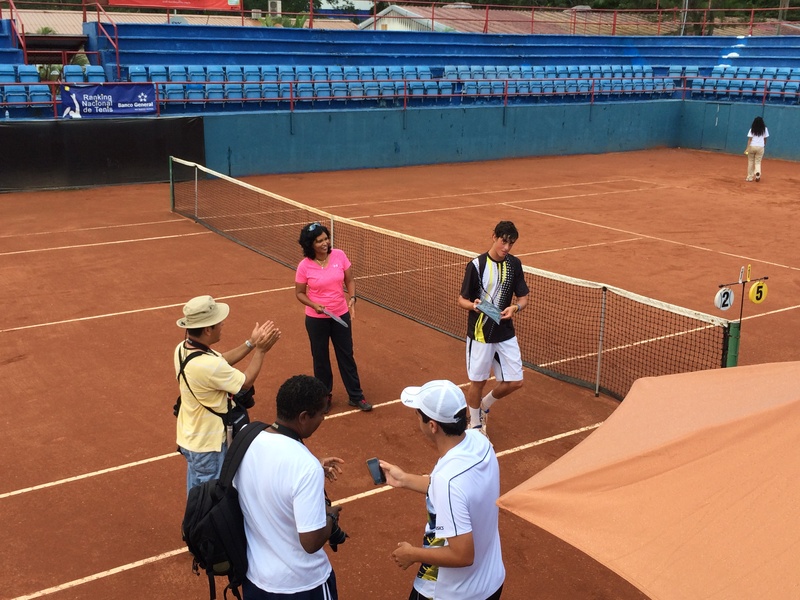 Ryan is from Guatemala and is 15 but has an ATP point!!! So Sasha has a win over someone who has an ATP point!! Here we are in Panama! The Bahamas was not a great week. We had terrible weather, rain, wind, and more rain and more wind. Sasha lost to Christian Langmo 4 and 4. Some of the worst conditions you could imagine, but kudos to him, he adjusted better. After beating Sasha, he went on to win the tournament easily. Another loss to the tournament winner!!! Sasha got to catch up on school and do some physical training. We hated the Bahamas. Pretty views of the water was about the only positive. Bad hotel, pretty much bad food (except for our Thai Restaurant at which we ate dinner three times). 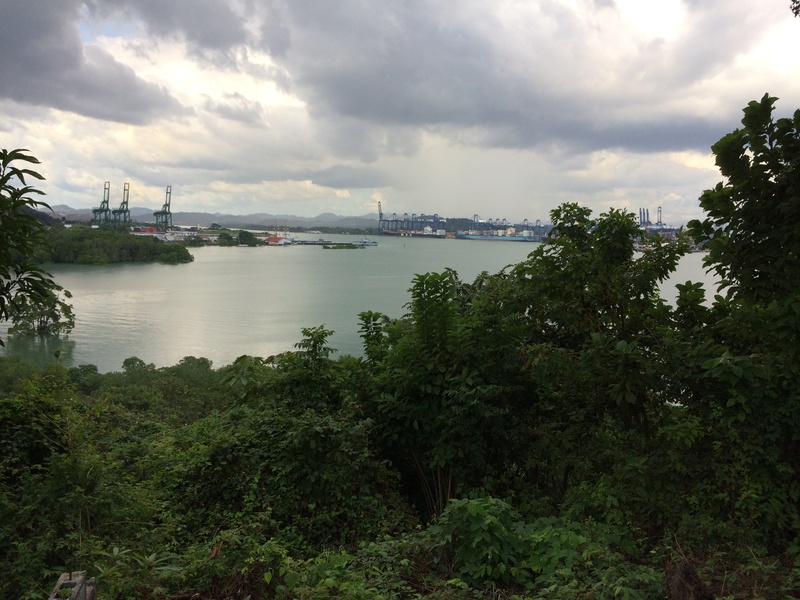 But our trip out of Panama was smooth. Sailed through airport customs, security etc. only to find our plane delayed by 2 hours. But it all worked out ok. We had a good flight, both got stuff done on the flight. Our driver picked us up at the airport. We stopped by Riba Smith, a fantastic supermarket and stocked up on food and supplies. Then were driven to the apartment we rented. It is very nice, beautiful views of the pacific, spacious, and a half hour from the club where the courts are located. The owners live downstairs in the house, we are on the top floor. They are ex pats from California. They had a gathering down by the pool last night, wine and munchies. We met a number of their neighbors who were here and it was a nice way to start our stay in Panama. 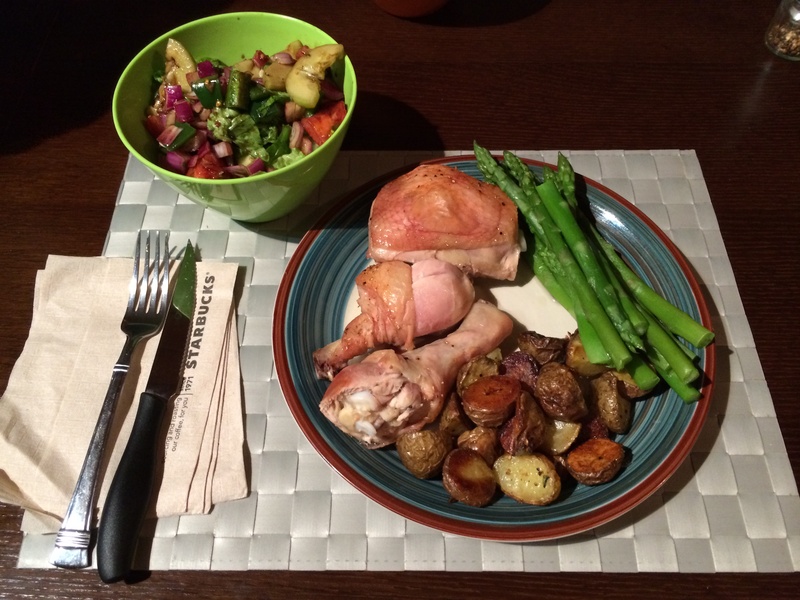 Soooo nice to be able to cook dinner again and not eat out. We also have a laundry. We were so happy to have clean clothes. Doing laundry in the Bahamas would have cost as much as the hotel, so we settled for rinsing a few things out. Practically everything we had with us was dirty. Now it all smells good again and so do we. Panama City gets bigger and taller every time I come here. I can’t believe how this place is developing. They are now modernizing all the roads too. Bad news–horrible traffic now, good news, the infrastructure will be much better when it’s done. If anyone has been here, we are staying on the Pacific Oceanside just over the Bridge of the Americas. If you map the Westin Playa Bonita, we are about 1/2 mile from it. 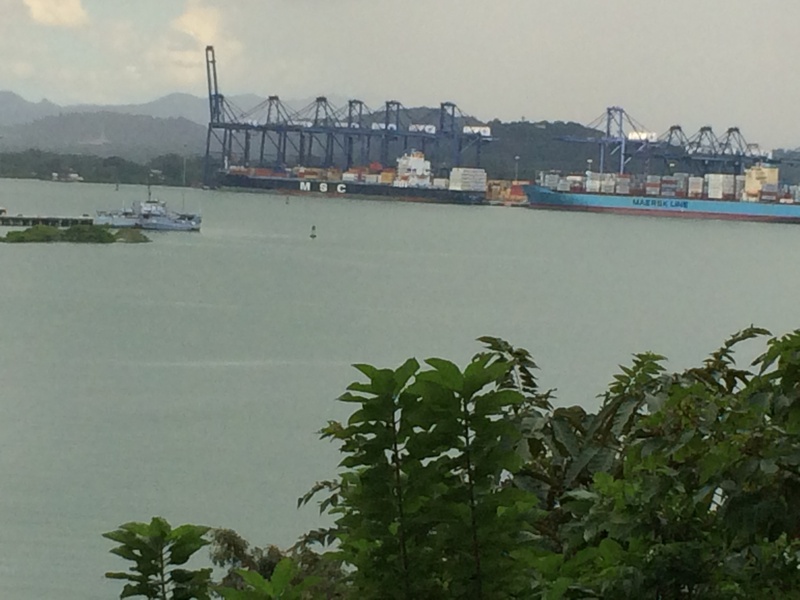 The club where the tournament is played is just over the Panama Canal a bit north. Here we have a driver that will take us to the club every day. Everything in Panama is cheap, this apartment costs less than a hotel, a driver costs less than a rental car, etc. Today we will practice for several hours, not much time to make the transition to clay from hard courts, but we will make the best of it. This tournament is a warm up for the Orange Bowl next week. I’ve been here a few times before. 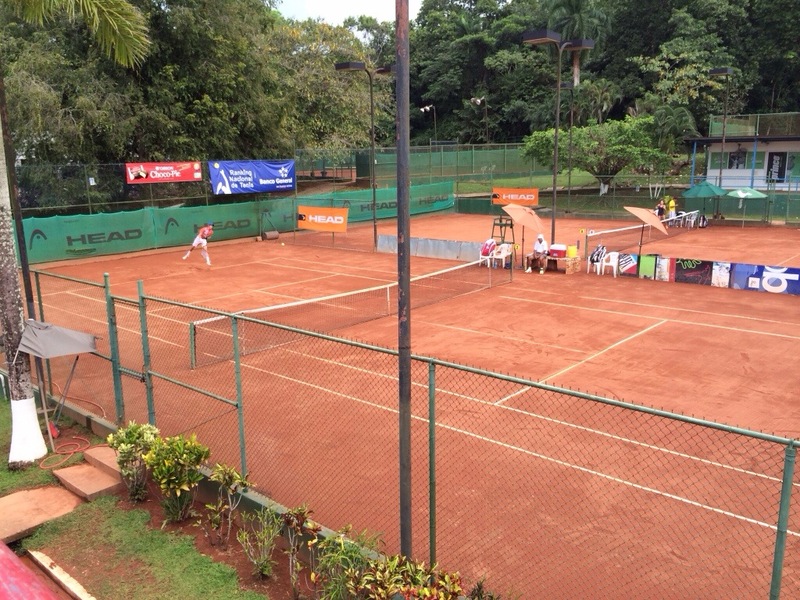 This club has pretty nice red clay courts and in the past has been a pretty well run event. 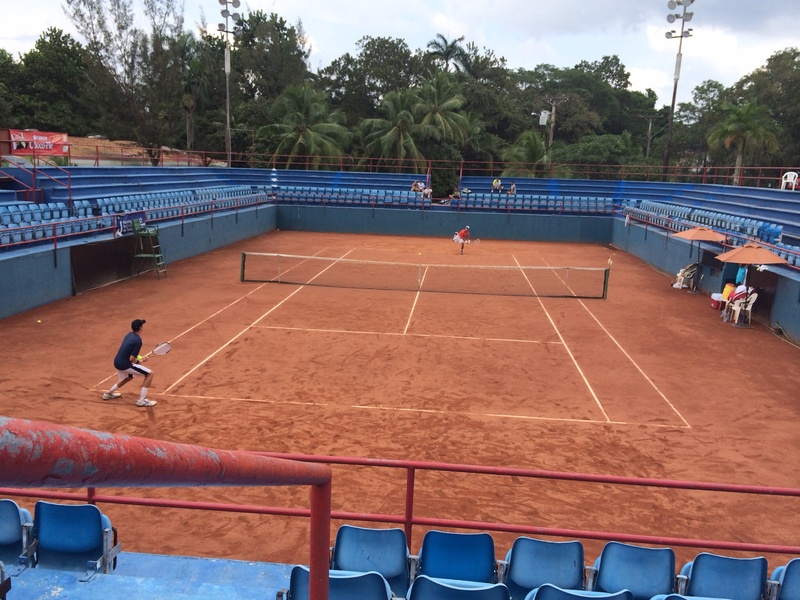 Sasha is really psyched to be playing on the clay for a few weeks. Sasha and I are both really happy that we have spent our last night in a hotel on this trip. We have this apartment this week and the Hamilton House in Delray which we will again use as our Southern Florida base for Orange Bowl. It is somewhat like returning home for us. Speaking of returning home. Sasha and I will go home for our VERY brief Christmas break after Orange Bowl. We will both be home for less than two weeks before starting our European indoor season. More on that later. 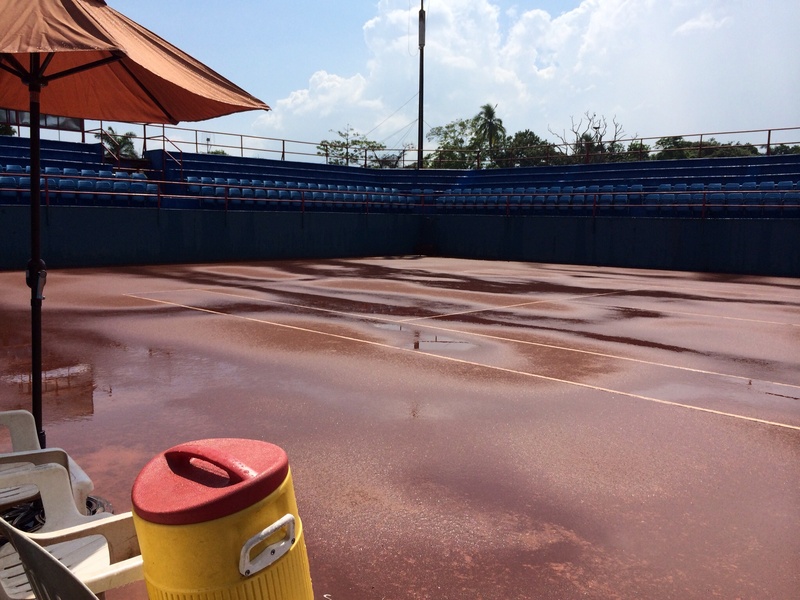 You are currently browsing the TennisAdvisor's Blog blog archives for December, 2013.